Angel Tours Pty LTD has been operating since 2003. They offer many boat activities for their customers. 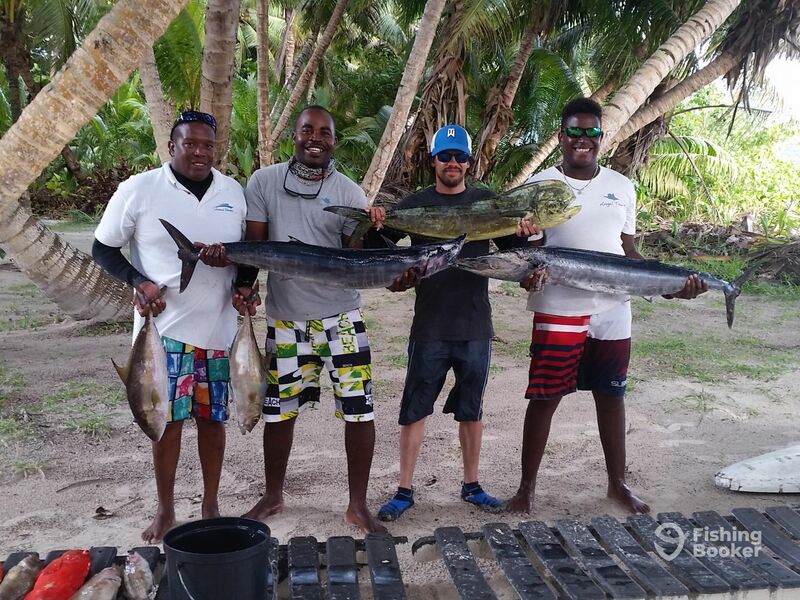 Their biggest achievement is winning the La Digue Fishing Tournament consecutively in 2009, 2010, 2011 and 2013. They take great pride in offering a personalized service to ensure that their guests enjoy their trip. 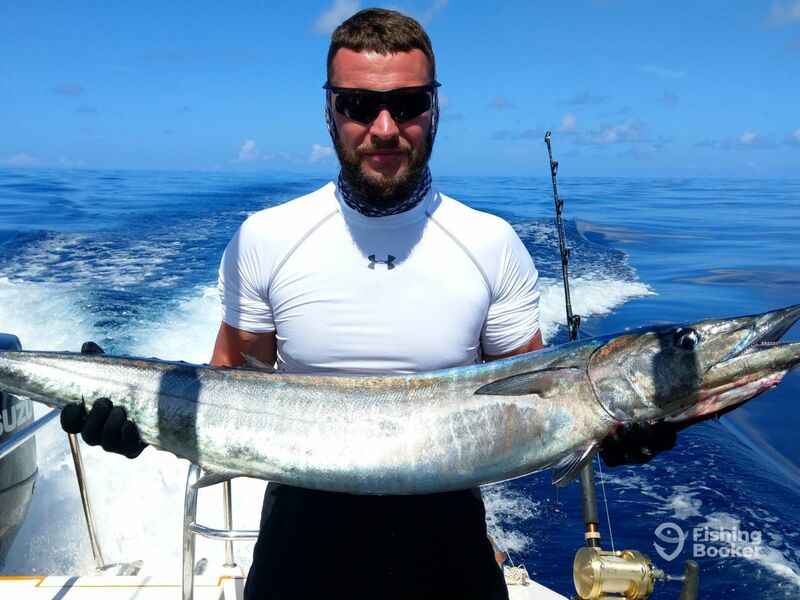 You'll spend the day fishing with Captain Christian and have an unforgettable day out. I was collected from my hotel and taken to Christians boat a short 15min journey away . We were soon out to sea and travelled out to a known mark about 10 miles out and were soon into fish ! 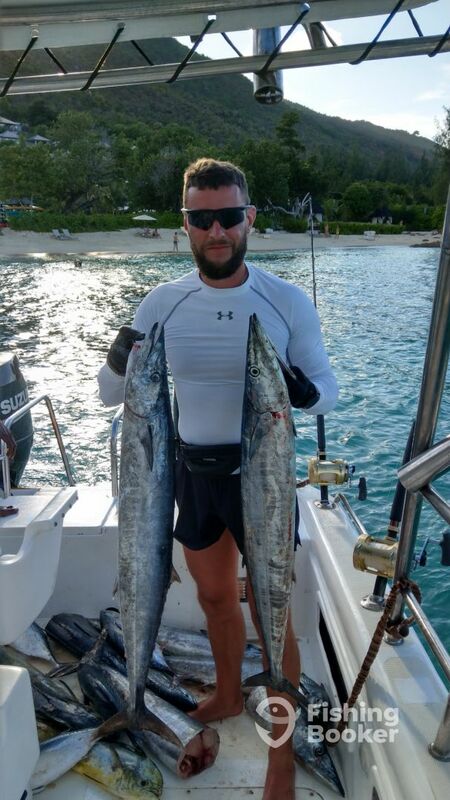 In the space of 3 hours we had landed 4 wahoo , 2 yellow fin Tuna and 6 Bonito ! Christian and Daniel were expert in their positioning for the trolling and dealing with the catch ! Would not hesitate to book again should we return to Praslin . Also a quick mention for Angela who was kind enough to take some nice photos when we returned to shore . We thank you for choosing our company and for taking the time to rate our service .Thank you very much. It was the smartest sea fishing in my life! we caught 16 fish. 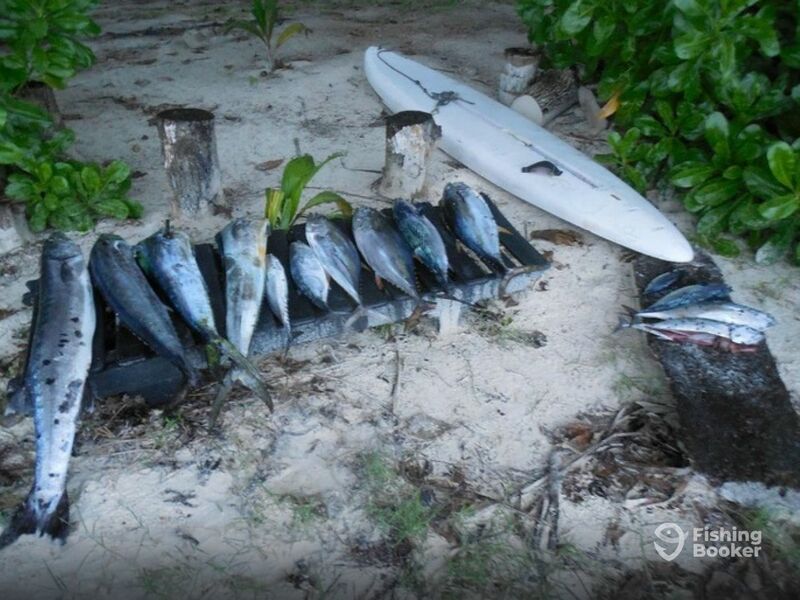 6 wauhu, 2 dorado, 6 there. Thanks to the team. you are great! handsome! keep it up. I wish you success! It was a pleasure to have you onboard our boat. Thank you for choosing our company for your fishing experience in Praslin,Seychelles. Dear Sir It was a pleasure to have you onboard our boat. 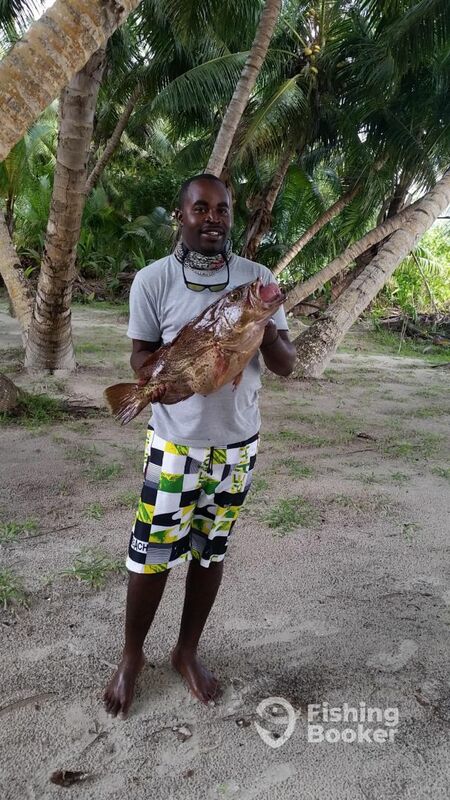 Thank you for choosing our company for your fishing experience in Praslin,Seychelles. We wish to thank you for taking the time to rate our service/boat.It was a pleasure to have you on board. 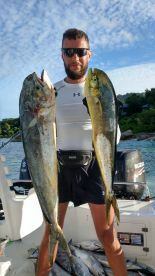 Were on honeymoon with my husband and he is a fisherman himself so we wanted to experience fishing on Seychelles! 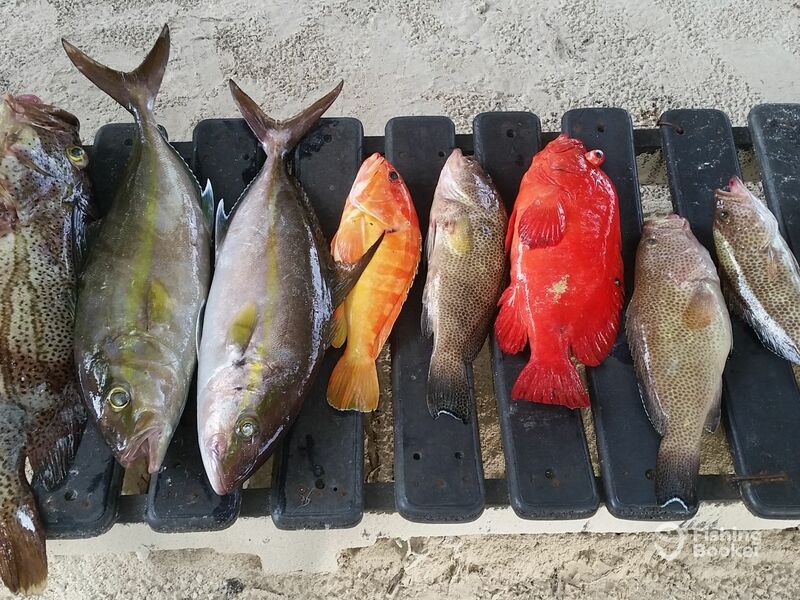 Praslin was our destination so we booked a full day charter with Angel Tours. We were lucky enough to have Captain like this. 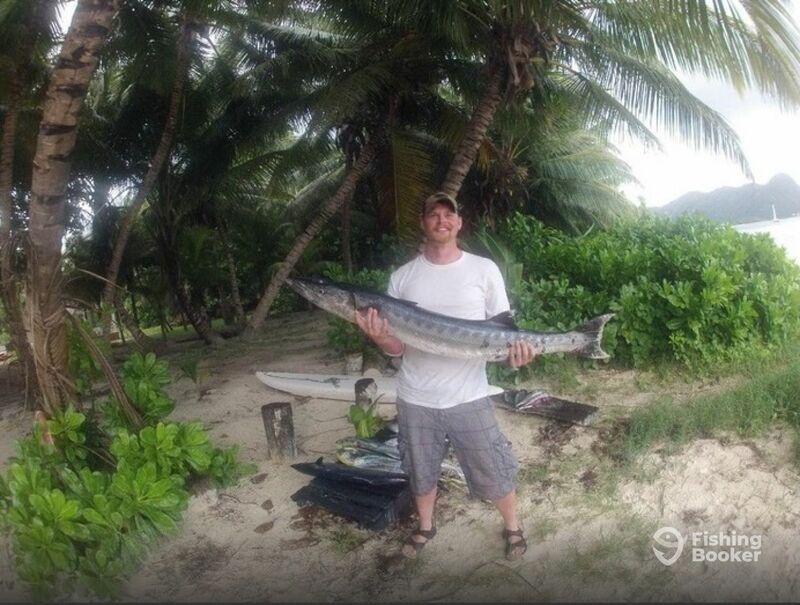 He’s name is Christian and he is multiple winner of fishing tournament on Praslin. Firstly we had a meeting with him to set expectations and see what we’d like to catch. It’s called fishing, so catch is not guaranteed, but he promised to give his best to put us on fish. We went out 30 miles from shore and Christian told us that it’ll take a while but that worth every minute of waiting because we’ll do trolling and it’ll be so much fun. Everything he said was true! AMAZING! That day the weather wasn’t perfect, but we managed to catch ton of fish! Capt. Christian is passionate fisherman and he really gave his best to make this trip the best possible! 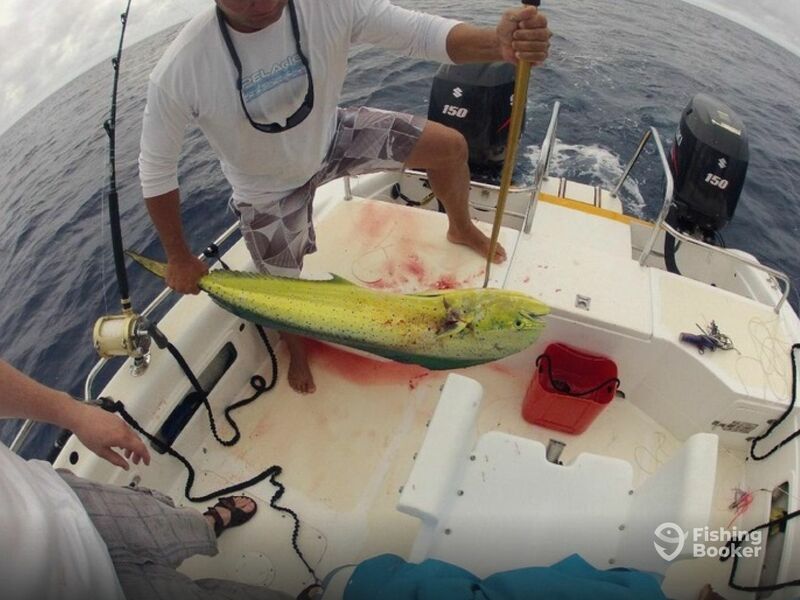 We caught two Mahi’s, Wahoo, Bonitos, Barracuda and ton of Tuna (Blackfin, Yellowfin…). Unfortunately we lost a Marlin, but still it was exciting just seeing it. 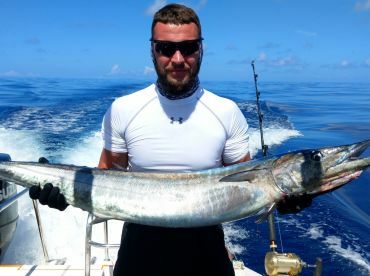 Captain offered us to keep certain amount of fish, but we didn’t because we were leaving the island in less than 24 hours. We came back around 6PM and went to our hotel. After that Christian picked us up and cooked a dinner for us and his family, so we enjoyed the catch together. 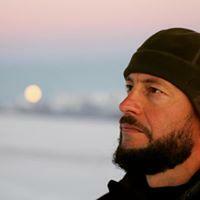 I highly recommend Capt. Christian! Awesome trip!!! Felt like a day out with the boys!! Thanx Richard,Daniel and skipper(Versage)!!! Greetings from Angel Tours,Praslin Seychelles!! It was a pleasure to have you on board our boat. We are very glad that you enjoyed your fishing trip.